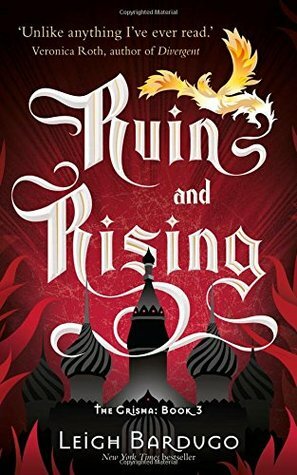 I am currently reading Ruin and Rising by Leigh Bardugo. The monster's name was Izumrud, the great worm, and there were those who claimed he had made the tunnels that ran beneath Ravka. Sick with appetite, he ate up silt and gravel, burrowing deeper and deeper into the earth, searching for something to satisfy his hunger, until he'd gone too far and lost himself in the dark. This is the third book in the Grisha series and I'm about half way through so far. The very beginning does seem a little disconnected from the rest of the story, and then I remembered that Alina's search is based on myth and legend. So really, it is kind of fitting. I also quite like how this first paragraph seems to act as a bit of a warning about getting in too deep. I'm almost finished now, and I can't believe it. This is an awesome, awesome series. I will admit that I procrastinated a lot when it came to starting this book, because I didn't want it to end. The Grishaverse is wonderful. Amazing. Read it. If you're in the UK you can win a signed copy of the first book here, and a signed copy of this book next week. I'm reminded of an old Kevin Bacon movie - "Tremors." 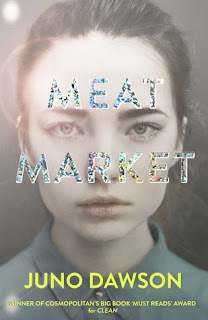 Although this isn't a genre I usually read, this sounds like an entertaining book.